When was Comstock Holding Companies, Inc. formed? When did Comstock Holding Companies, Inc. go public? Where is Comstock Holding Companies, Inc. headquartered? Where is COMSTOCK HOLDING COMPANIES, INC. incorporated? Where does COMSTOCK HOLDING COMPANIES, INC. operate? Who is COMSTOCK HOLDING COMPANIES, INC. independent auditor? When does COMSTOCK HOLDING COMPANIES, INC. fiscal year end? How do shares of COMSTOCK HOLDING COMPANIES, INC. trade? Does COMSTOCK HOLDING COMPANIES, INC. pay dividends? Who is COMSTOCK HOLDING COMPANIES, INC. transfer agent? When does COMSTOCK HOLDING COMPANIES, INC. issue earnings releases? Whom should I contact regarding investor inquiries? Where can I view quarterly and annual reports and find other SEC filings for COMSTOCK HOLDING COMPANIES, INC.? What is COMSTOCK HOLDING COMPANIES, INC. CUSIP? 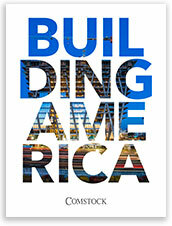 How do I get added to COMSTOCK HOLDING COMPANIES, INC. email distribution list? When and where is COMSTOCK HOLDING COMPANIES, INC. annual Stockholders' Meeting? When was Comstock Holding Companies, Inc. formed? When did Comstock Holding Companies, Inc. go public? Where is Comstock Holding Companies, Inc. headquartered? Where is COMSTOCK HOLDING COMPANIES, INC. incorporated? Where does COMSTOCK HOLDING COMPANIES, INC. operate? Who is COMSTOCK HOLDING COMPANIES, INC. independent auditor? When does COMSTOCK HOLDING COMPANIES, INC. fiscal year end? How do shares of COMSTOCK HOLDING COMPANIES, INC. trade? Does COMSTOCK HOLDING COMPANIES, INC. pay dividends? Who is COMSTOCK HOLDING COMPANIES, INC. transfer agent? When does COMSTOCK HOLDING COMPANIES, INC. issue earnings releases? Where can I view quarterly and annual reports and find other SEC filings for COMSTOCK HOLDING COMPANIES, INC.? What is COMSTOCK HOLDING COMPANIES, INC. CUSIP? 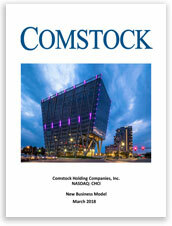 How do I get added to COMSTOCK HOLDING COMPANIES, INC. email distribution list? When and where is COMSTOCK HOLDING COMPANIES, INC. annual Stockholders' Meeting?